Choose your route and add your hotels, tours, parks and activities. 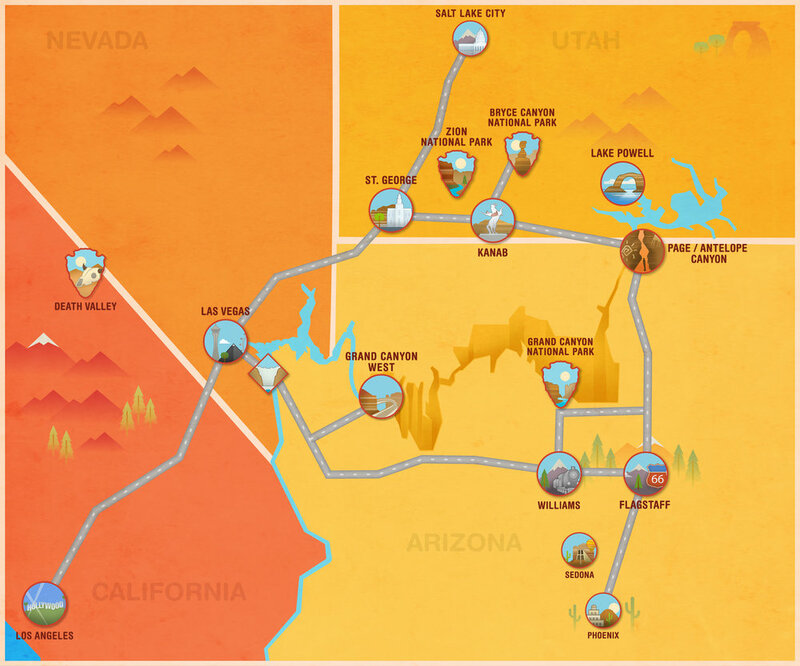 TRAVEL WITH EASE AND FLEXIBILITY THROUGHOUT THE GRAND CIRCLE FROM LOS ANGELES, LAS VEGAS, PHOENIX, FLAGSTAFF, OR SALT LAKE CITY. CHOOSE YOUR OWN ROUTE AND ADD YOUR HOTELS, TOURS, PARKS AND ACTIVITIES.